Our headquarters in Sandleheath is available to hire for a range of uses. If you're interesting in booking the centre then please visit our online booking system. Sandleheath is a successful Scout Group located near Fordingbridge - on the edge of the New Forest. 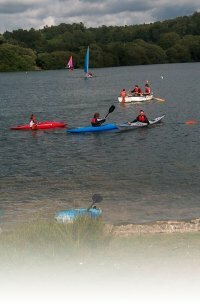 Being a Sea Scout Troop enables the young people to participate in a range of water activities, as well as a range of 'traditional' Scout activities - such as Camping and Hiking. Many also complete their Duke of Edinburgh's Award. The youngest members of the group are Beavers, aged 6 to 8. If you want to add your name to the waiting list for Beavers please use the 'Beaver Section' recipient on the contact form. For other enquiries please contact us or ring Ros White on 01425 654025.